Our relationship with K. Hovnanian actually began years earlier on the set of the hit ABC TV show Extreme Makeover Home Edition. That is where we met the eventual VP of sales for the southeast coastal region for K. Hovaninan Homes. After he took the new job, WDM was one of his first calls. The successful regional promotion of this national builder would fuel growth and future development in the area, and they wanted to do things right. 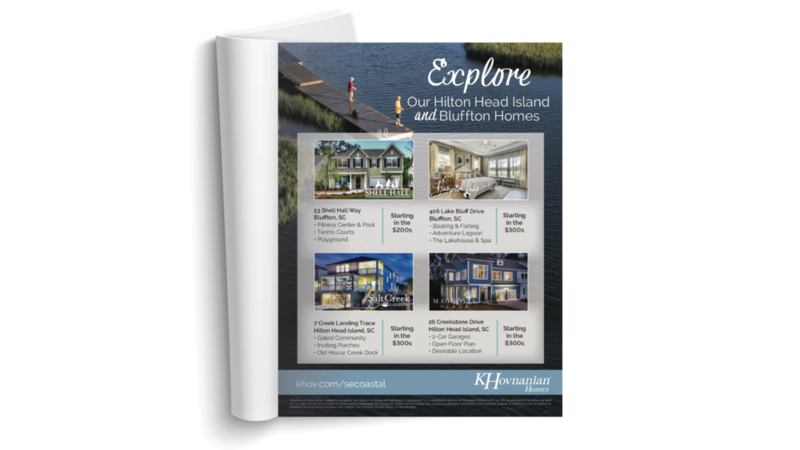 The team at WDM drew upon years of successful resort and real-estate marketing to build a regional campaign based on the national brand for this award winning builder. We conducted marketing audits based on site visits to each of their communities in the southeast region. We learned what was working and where there were opportunities to improve. We developed nine unique campaigns for nine unique communities, and the results formed the foundation of a relationship that has lasted for years. Together we have innovated, refined, and perfected the marketing of K. Hovnanian communities in the southeast and are looking forward to the next big development, which is soon to be announced.